Welcome back to day 3 of the October 2018 Release product introductions. Thank you for all the comment love yesterday here and on social media. 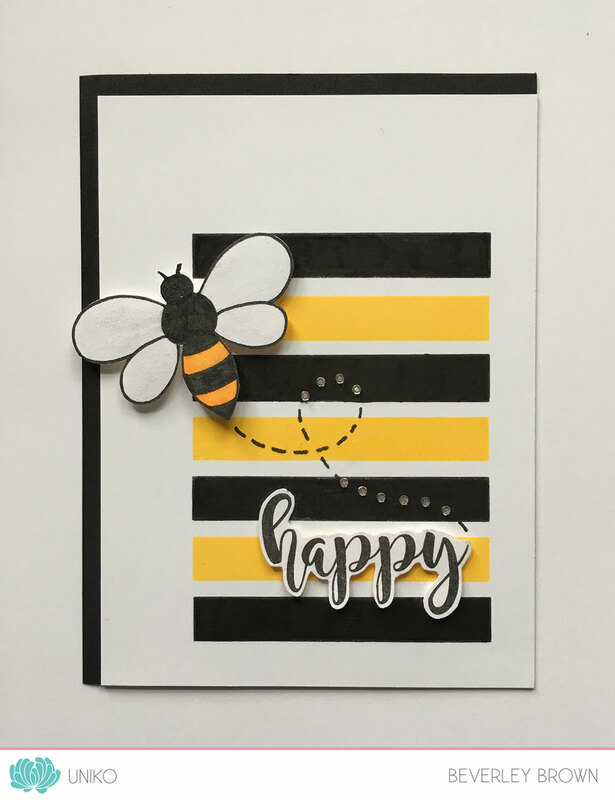 If you missed yesterday, you can catch up HERE, where myself & the DT introduced 2 Stencil Designs and an addition to the Simply Said Blocks series. 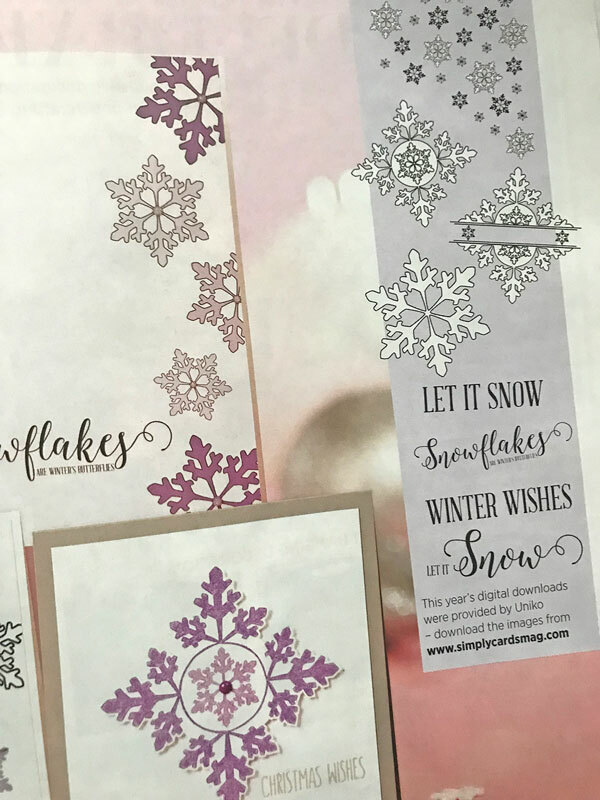 You can catch up HERE with day 1, where myself and the Design Team re-introduced Background Builders: Christmas and Jolly Christmas clear stamp sets. 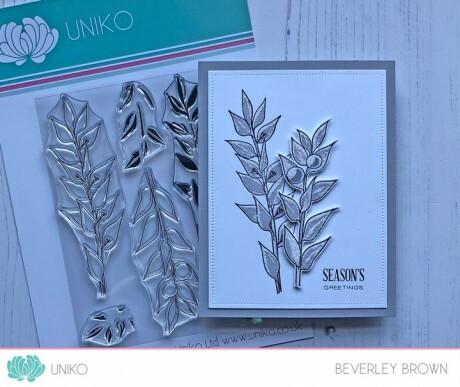 Today we are introducing Winter Botanicals: Sweet Broom & another Stencil, Quilted. 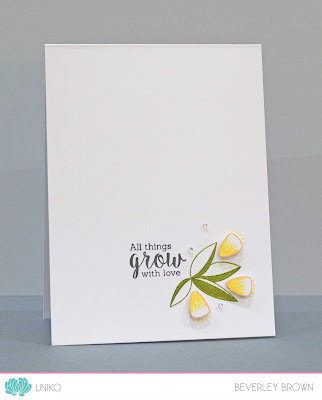 Hopefully you have hoped on over from HERE where I have shared a couple of cards that we made at last weekends Uniko Stamping Retreat. 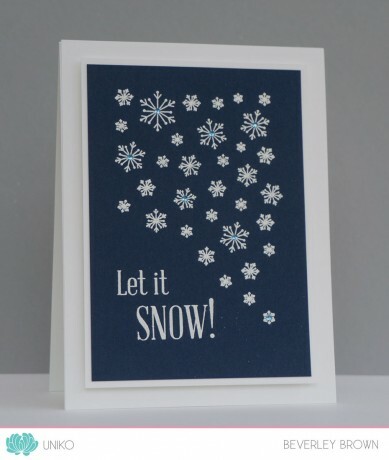 My thinking behind this card was that I wanted to recreate the feel of first frost (or first snow as parts of the NE of the UK have experienced yesterday) on winter foliage. 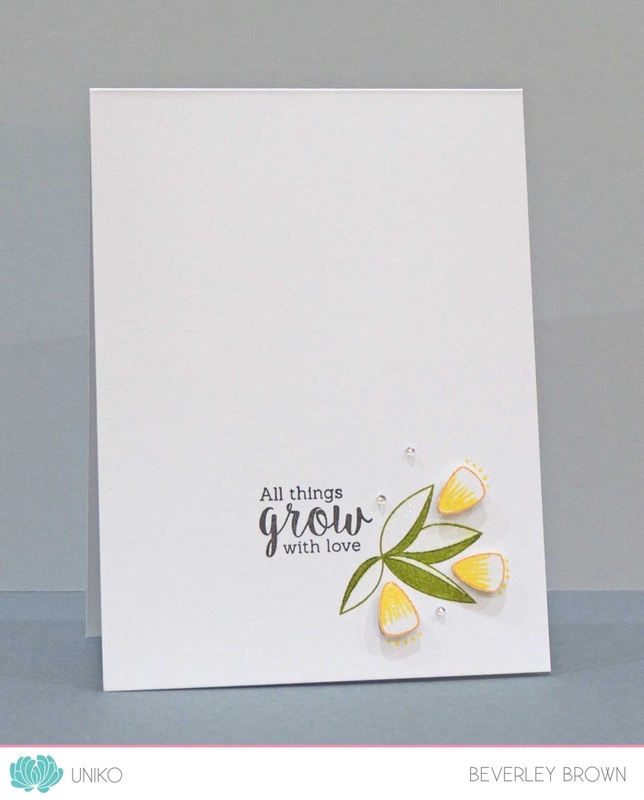 I chose to use Altenew inks in two shades of grey to stamp the outline and inner detail of the foliage images, then added lots of glitter to the white spaces left. 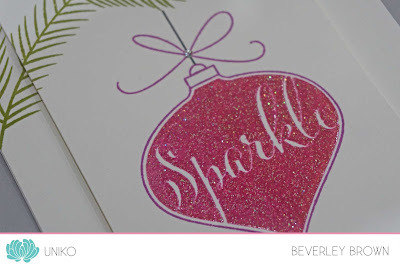 There is so much sparkle on this card! 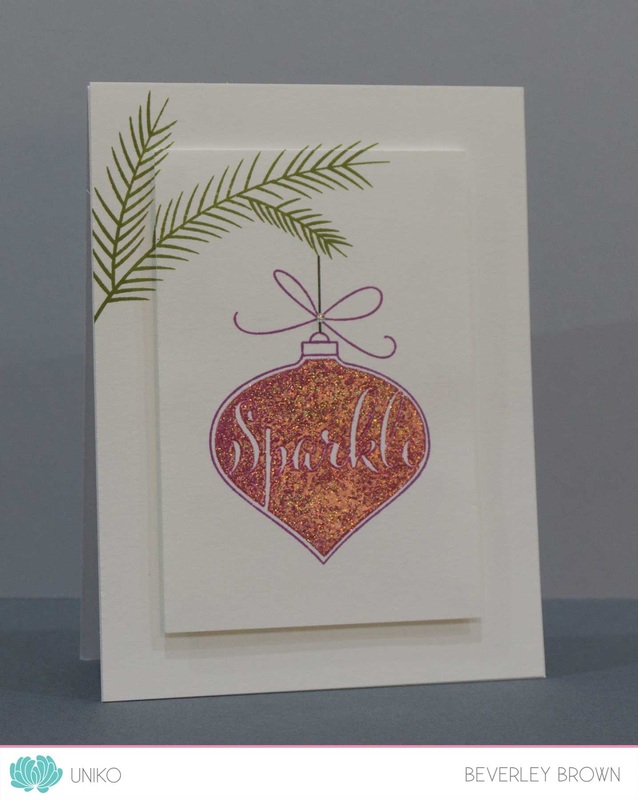 The sentiment is from Pure Florals: Poinsettia. WOW! 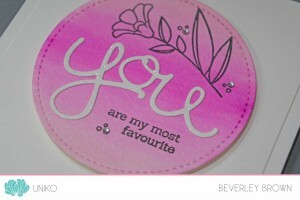 That was another inspirational hop, so many new ideas of how to use these new stencils and sentiment stamps. I hope you enjoyed the hop & will come back tomorrow for the last product introductions. This is the 7th year the lovely and creative Tracey McNeely from In My Creative Opinion has organised this fun and festive event to spread Christmas Cheer. 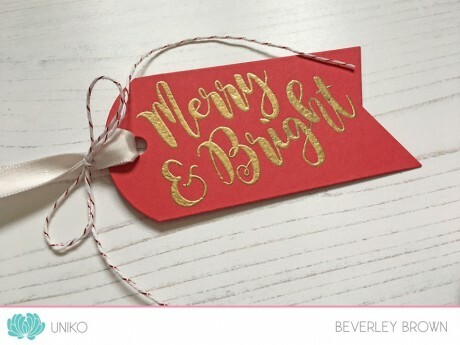 Myself and the Uniko Design Team have got our festive on and created some Christmas Tags to share with you, so let’s get to the inspiration! First up I decided to go a little ‘Traditional’ with a classic red, white and gold combo. I don’t think Festive Sentiments has left my desk since it was released last month! I dusted off one of my all time favourite Papertrey Ink Tag Sale dies, this is No.5 I love the curved top and the notched bottom of this tag shape and it as a good size, not too big, but not too small! 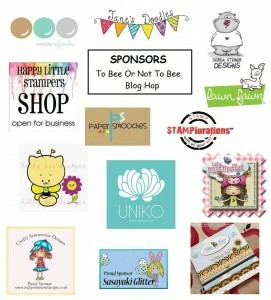 So for this tag I simply die cut the tag from Stampin’ Up! Real Red card, stamped my sentiment from Festive Sentiments in VersaMark and heat embossed in Gold EP. I added a Soft Stone satin ribbon tail, secured with some Stampin’ Up! bakers twine. 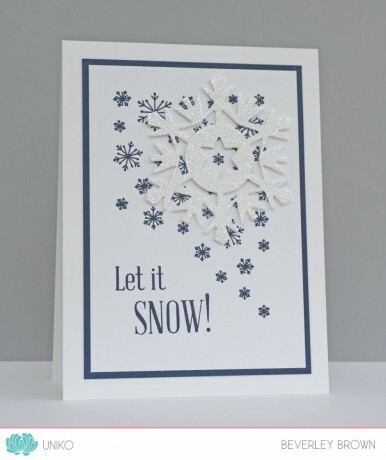 Next, I couldn’t resist a snowflake tag! 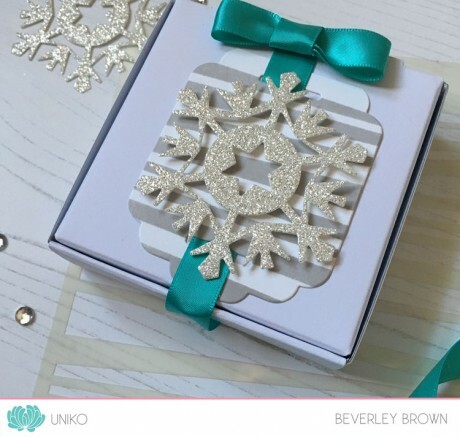 I am loving having the Uniko Designer Die Snowflake Trio back in the inventory, I sure have missed using these beauties! 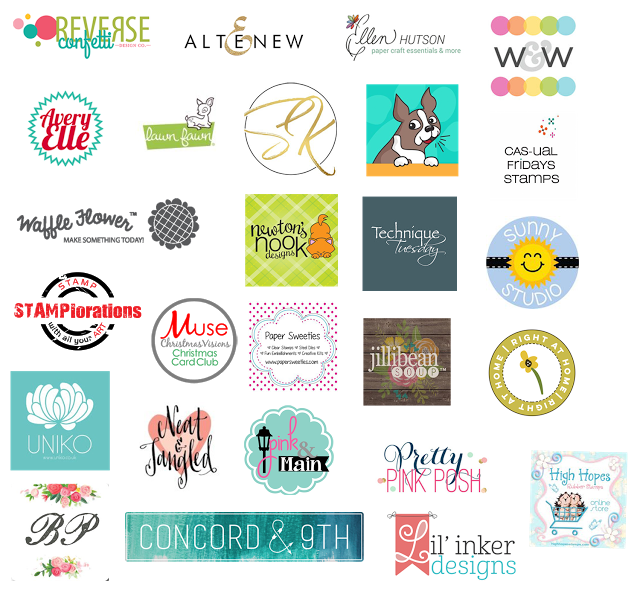 I fairly recently purchased some Stampin’ Up! 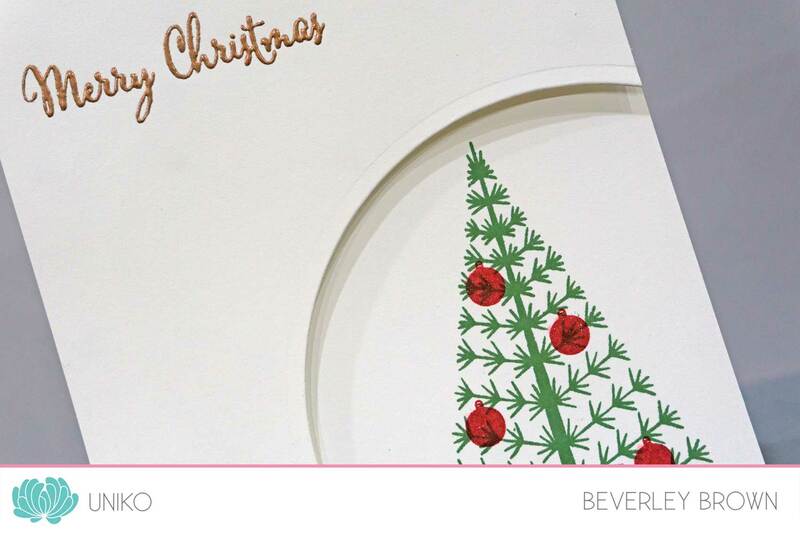 Mini Pizza Boxes to use as gift packaging this Christmas and I thought it was the perfect size to dress up using a not so recent Stampin’ Up! purchase of the Cheerful Tags dies! I think these are now retired. There are 2 tags in the set of Cheerful Tags dies and the one I have used has handy ribbon threading holes at the top and bottom of the tag. The tag does come with a back, but I didn’t need it and wanted my tag to be completely flat against the lid of the box. 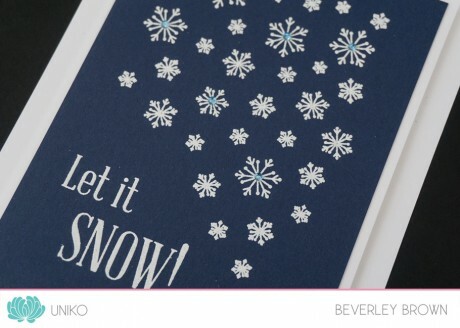 I didn’t want a design that would take too much focus off the sparkly medium snowflake, but I really wanted to pair it with the recently released Uniko Wonky Stripes Stencil! 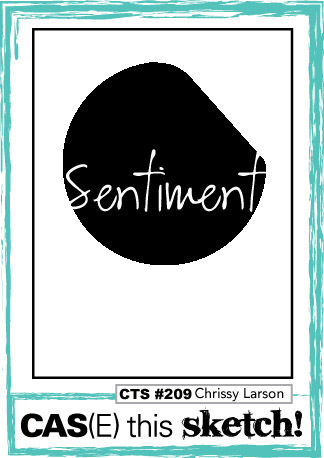 So, I opted for a soft Altenew grey ink (Silver Stone) to ink the stencil design onto the tag shape. I then simply adhered the tag over the top using foam adhesive. The ribbon is another favourite of mine, Hawaiian Shores from Papertrey Ink. 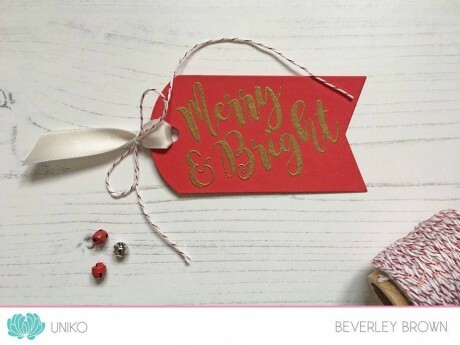 I had planned to make SO many different tags using Uniko’s festive clear stamps, but time was not on my side! Hopefully I will get to make and share these before the end of the event! 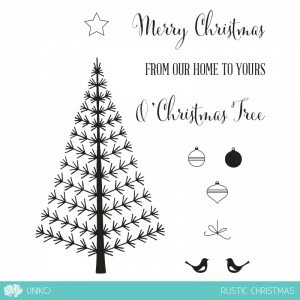 Anyway, the Uniko Design Team have some festive inspiration to share with you too, be sure to stop by their blogs (links below) and leave some love! 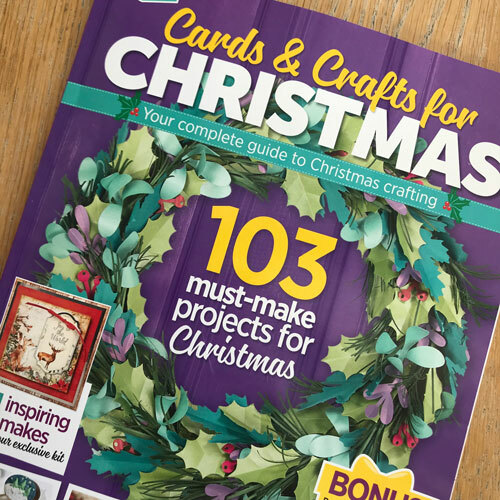 Today I am super excited to have been invited and to take part in a wonderful blog hop organised by Milka from Crafty Milka. The purpose of the blog hope is to support Bees and to raise public awareness of the importance of bees and apicultural products. It is also in support of the Slovenian Beekeepers’ Association that May 20th be declared as World Bee Day by the United Nations (UN). All the prize information can be found HERE at the start of the hop and to be in with a chance of winning one of the 14 prizes, simply comment along each stop of the hop! 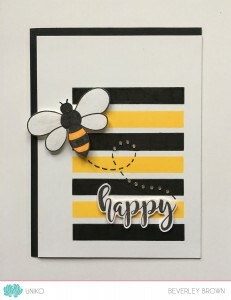 With not owning any bee stamps I knew I had to BEE creative with my card! 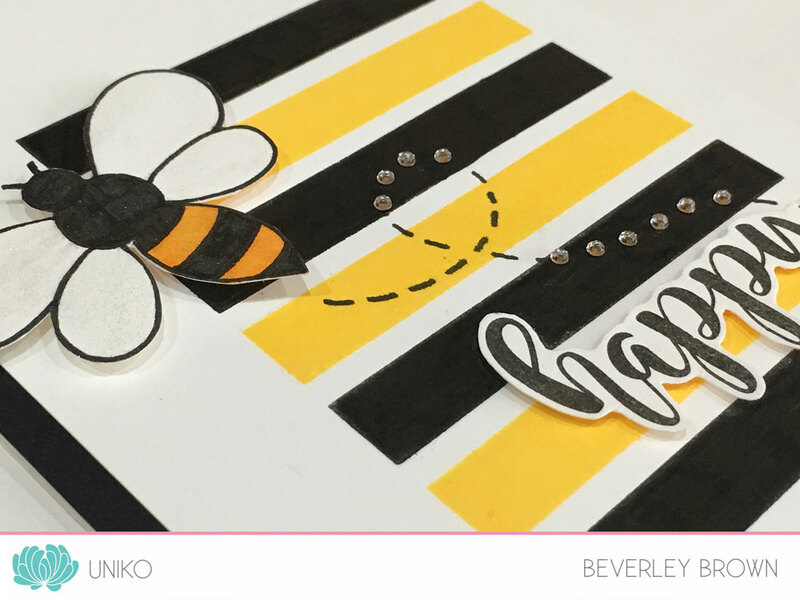 The recently released Background Block Horizontal Stripe was perfect for the idea I had envisioned and the result is what you see above. 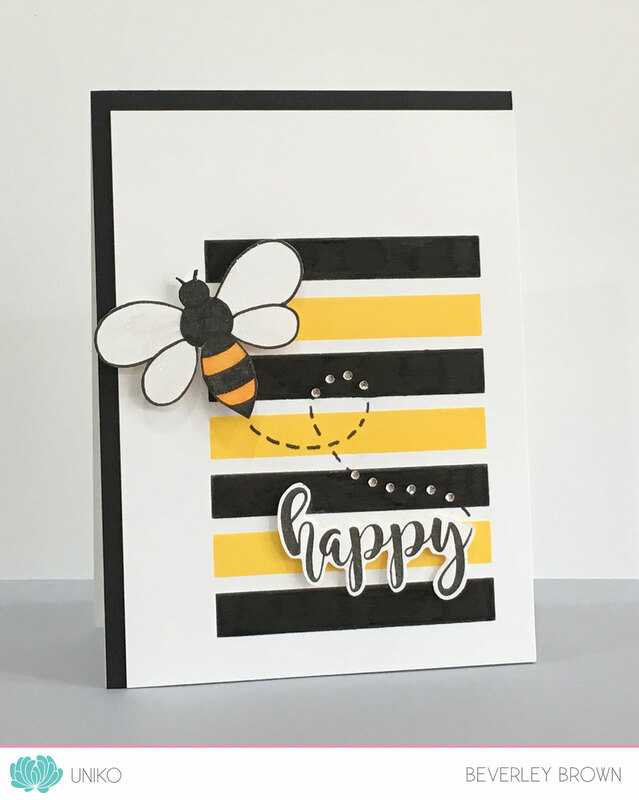 I selectively inked alternate stripes first in black ink and then in yellow ink, using my MISTI tool to keep the stamp and card stock all lined up. 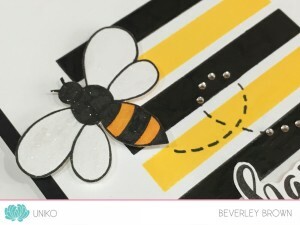 The bee is a free hand drawing I did myself, which I fussy cut out and adhered to the card using foam adhesive. I also gave the bee a lovely coating of clear Wink Of Stella. 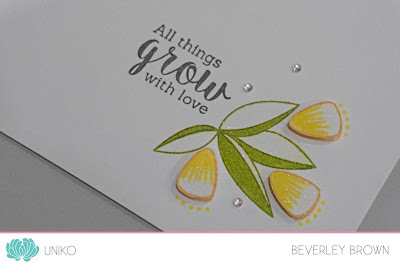 The sentiment is from the recently released Happy Succulents clear stamp set and fussy cut out and adhered with foam adhesive too. I then drew in some little lines to give the bee some movement and as I couldn’t find a white gel pen to draw the lines in over the black stripes I improvised and added some mini sparkly rhinestones! I hope you have enjoyed my little creative offering for the hop?! If you have missed the start of the hop you can begin HERE at Milka’s blog. If you are on track your next stop is Amy Tsuruta HERE. Thank you so much for stopping by and HAPPY HOPPING! I’m super duper pleased you have popped back today as again we have LOTS more fun to share with you! I decided to give some more NBUS a whirl and you are getting a early peek at 3 new stamps that we will be introducing on Tuesday 😉 I’ve also FINALLY got my hands on the Stampin’ Up! 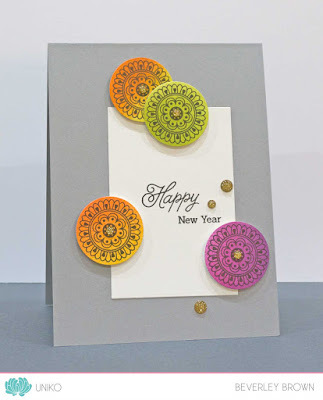 Stitched Shapes Framelits Dies – woohoo! I’ve wanted these dies for AGES and I got them last week in time for the Uniko February & 5th Birthday Release celebrations. I also decided to have a ‘play’ and joined in the new CAS(E) this Sketch! challenge seen HERE and below, a fun sketch with lots of possibilities. 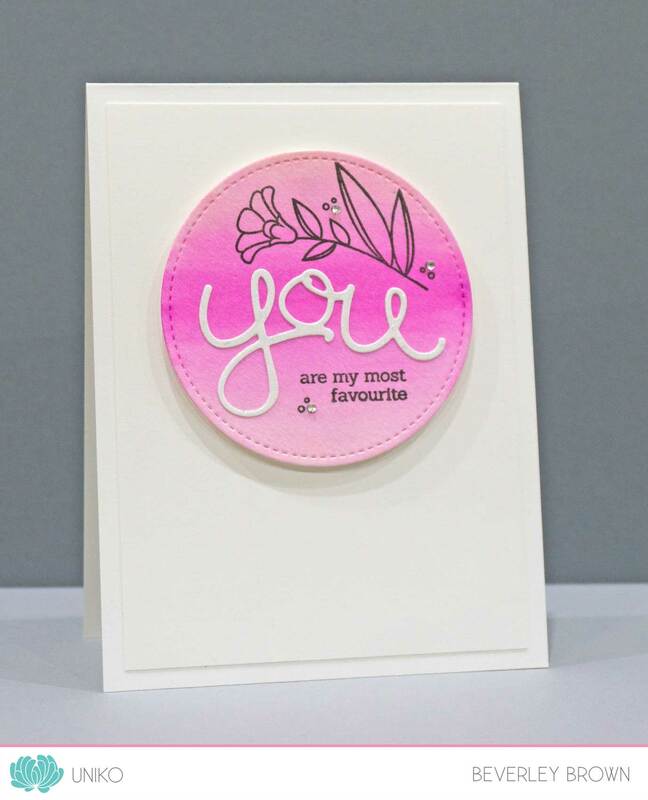 I also gave my Zigs a whirl, using 2 shades of pink and a blush colour to blend in from the top and bottom of the die cut circle. 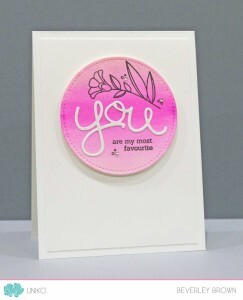 The ‘you’ die is also from Stampin’ Up! and I added a good smothering of clear Wink Of Stella. 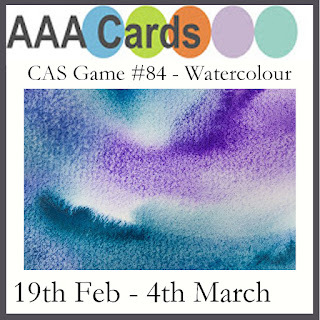 That’s all from the Uniko DT and myself for now, but be sure to head on over HERE to see what the AAA Cards Design Team have created to inspire you and to join in on the fun too. I hope to see you in the gallery! Welcome back to another ‘Look Back At 2016! This year has been an amazing year for myself personally, but it has been a fantastic year for Uniko. 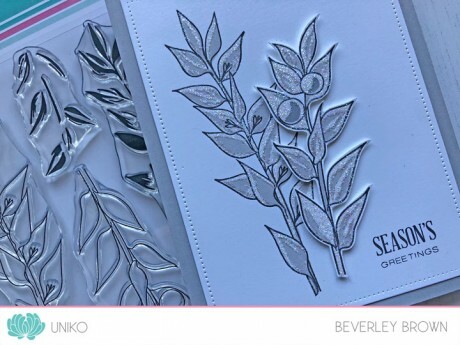 We have had 5 fabulous releases, with 16 new clear stamps sets lining the Uniko HQ shelves. I don’t know about you, but to me this year has almost passed by in a blur! 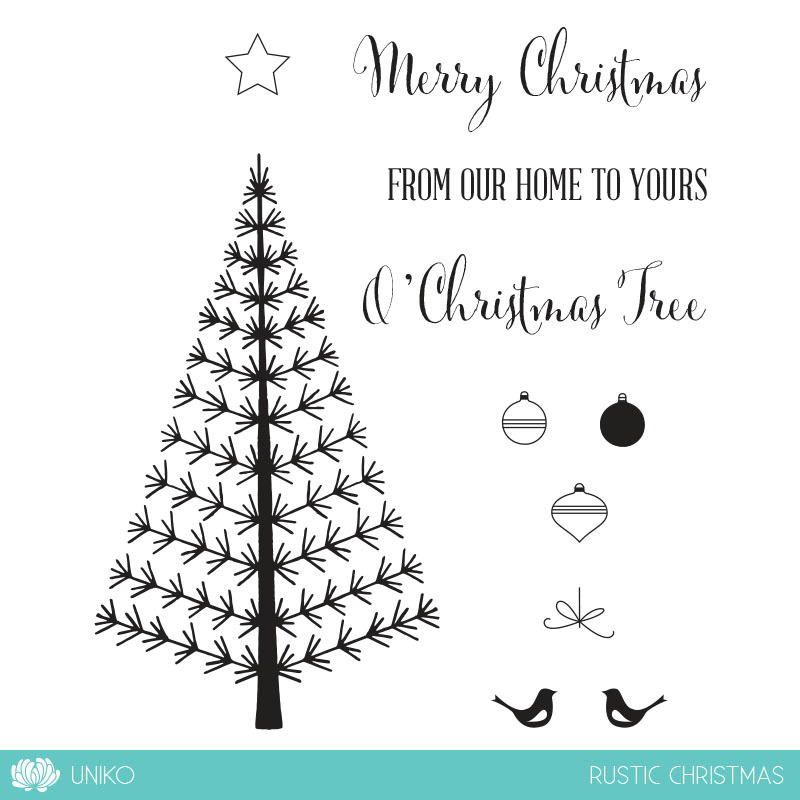 With that in mind I thought it would be nice now the main seasonal festivities are over and as 2016 draws to a close, to take a look back at Uniko’s 2016. Apologies for the delay in posting and not posting yesterday, I had little sleep Wednesday night due to a Josh bean having nightmares, poor little fella. Then on Thursday I had to take Mr Cat to the vet and he had an operation to remove his eye as he had a large tumour in it. Another poor little fella that needed my attention and love post op last night. 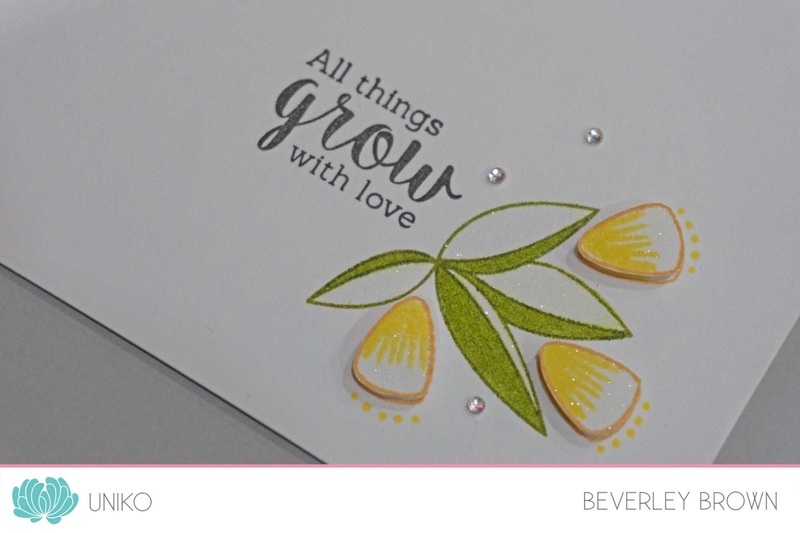 Anyway, I am back today, I am taking a look back at the September/October 2016 Release and giving some fresh inky love to Originally Organic, Marvellous Mehndi, Simply Said II, Winter Foliage & Christmas Sparkle clear stamp sets. I was inspired by the current challenge over at TIME OUT Challenges HERE, which is an inspired by words challenge. I thought the sentiment I chose was appropriate and related to the ‘new beginning’ part of the challenge phrase. I then decided to accent the sentiment with the leaf cluster and a trio of sunny yellow buds to represent the ‘sunrise’. 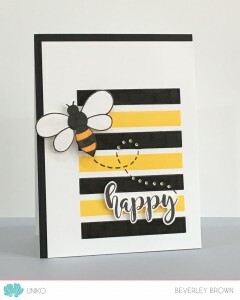 For this card I got my distress inks out and enjoyed some relaxing ink blending! The sentiment is a mix of ‘Happy’ from Simply Said Birthday, which is partially stamped and the ‘New Year’ is from Simply Said II. Lastly, I switched gears back to Christmas and combined both Christmas Sparkle & Winter Foliage. Plus I really gave my new MISTI a workout on this card. 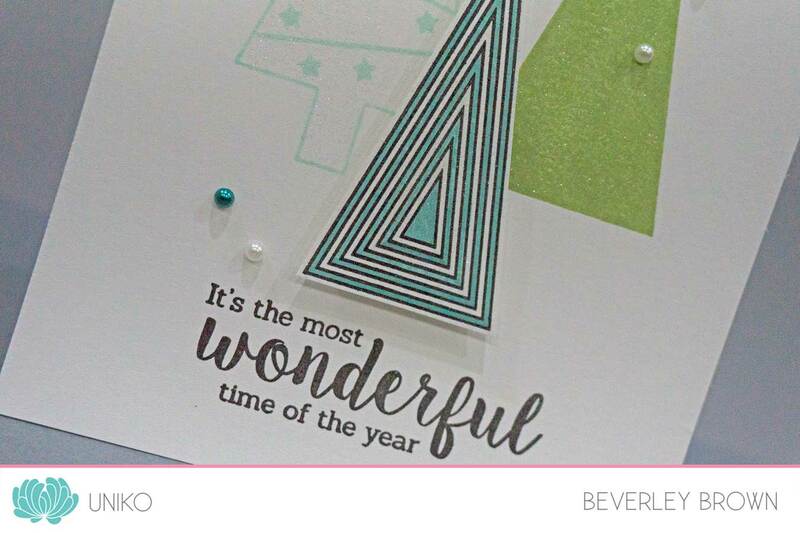 I love this multi card layer stamping and lining up the bauble was SO much easier using the MISTI! 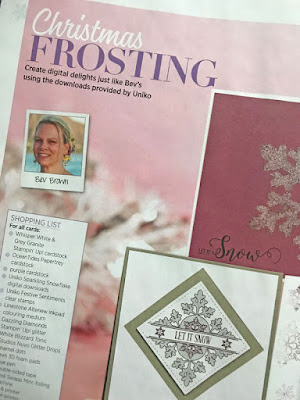 I was also able to stamp the bauble in Altenew Cosmic Berry ink and then stamp over it again in VersaMark to be able to heat emboss it with Crystal EP. I hope you will join me again tomorrow, when I will be taking a look back at the 2016 November Release and the last of 2016. Until then, thank you for stopping by. I’m SO happy that you have stopped by today, as here at Uniko preparations for the November product release are well underway. We have had all the sneak peeks at the 3 clear stamp sets being released and NOW it is time for the Design Team and I to introduce them to you. The stamps contained in the set have a multitude of mix and match options. On my card I have used two of the main images from the set. The outline tree and the elongated triangle with horizontal lines. 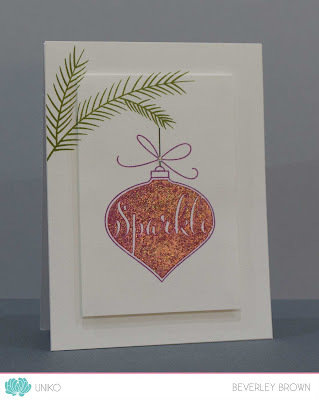 I used my Stampin’ Up! 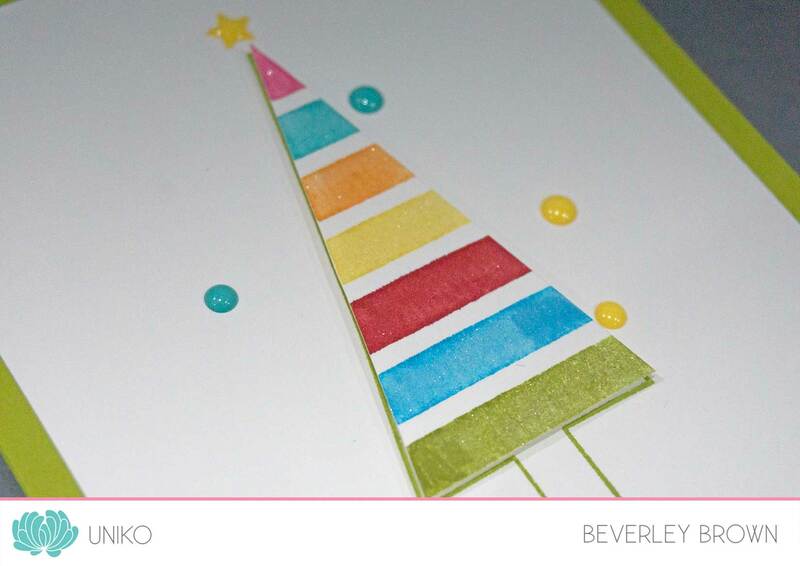 Bright Markers to selectively colour the horizontal lines in a rainbow before stamping and fussy cutting it out. 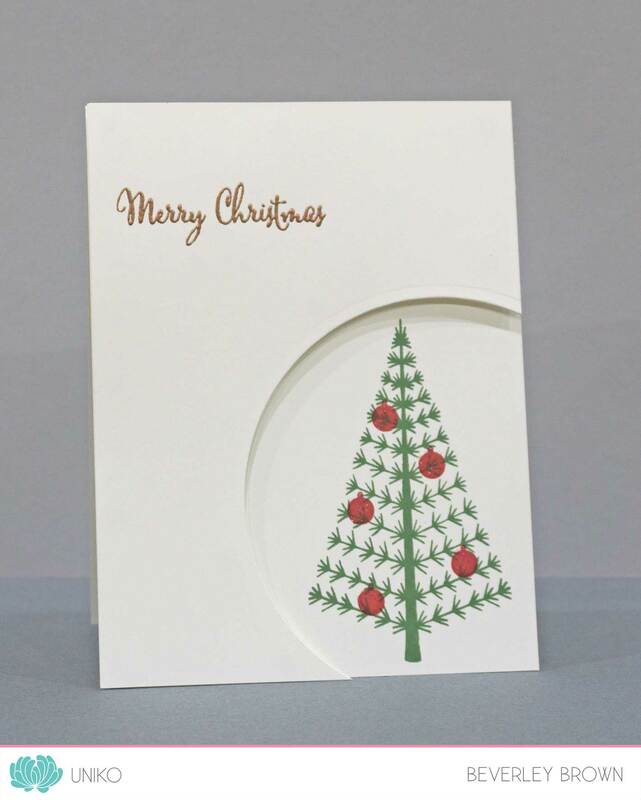 The routine tree is stamped onto a white card layer and the fussy cut tree adhered on top using foam adhesive. 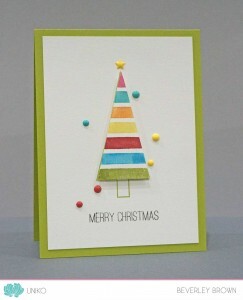 I added a good smothering of clear Wink Of Stella to the tree and added a selection of Stampin’ Up! 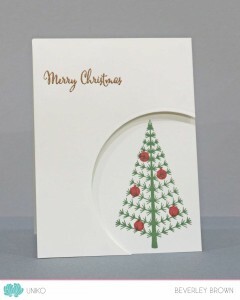 enamel dots to finish the card off. 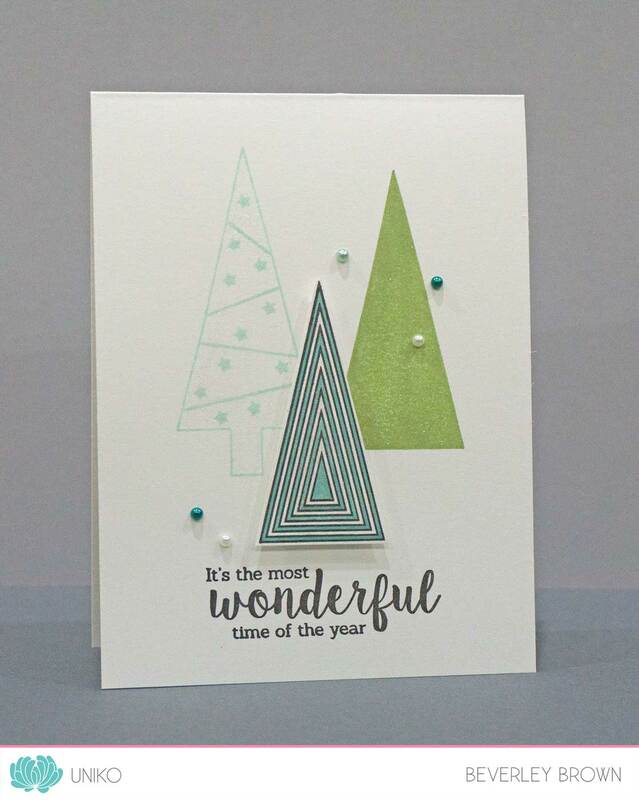 I chose to use 3 of the main clear stamps from Christmas Pop and 2 of the accent stamps from the set along with a funky Christmas colour scheme I am seeing a lot at the moment. Shades of Teal/Aqua with Lime Green. 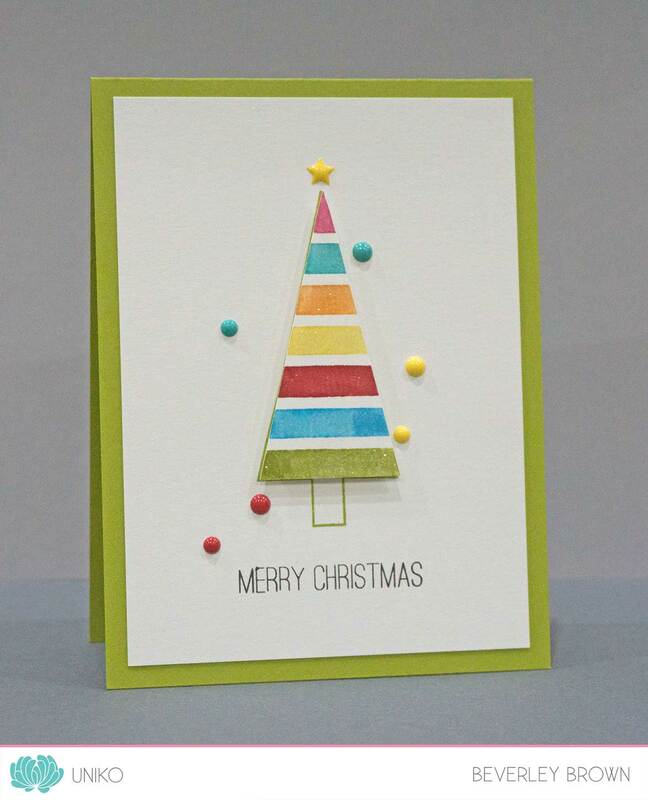 The outline tree stamp I used on my first card is embellished with the 2 accent stamps. It’s hard to see in the photo, but I added a good smothering to the trees on this card too! This time I embellished with pearls from The Hobby House. I do hope you enjoyed the hop and you have enjoyed seeing some of the possibilities they have? Both the sets will be fully revealed and available to purchase HERE on Sunday 27th November at 9am GMT. The Design Team and I will be back tomorrow with the last product introduction and lots more inspiration! Sneak Peeks 23rd & 24th November, these little teasers give you hints at what is in store! 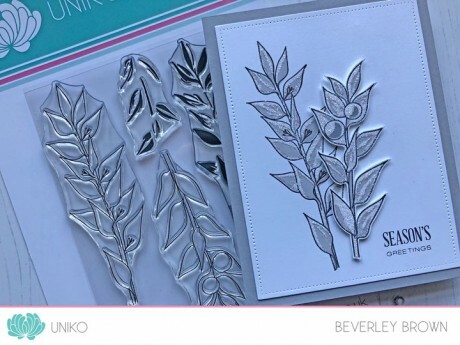 Introducing 25th & 26th November, here you will see a closer look at the clear stamp sets being released with a daily blog hop with the Uniko DT. As this is our last release of 2016, I will be giving away some random prizes throughout the release countdown. To be in the chance of winning a random prize, be sure to join in on commenting along the Introducing Hops and joining in on the fun via social media such Facebook, Instagram, Twitter and Pinterest. Winners of the random prizes will be announced Sunday 27th November at 8am GMT. I hope you are intrigued by what you have seen so far and thank you for stopping by. Isn’t this just amazing? 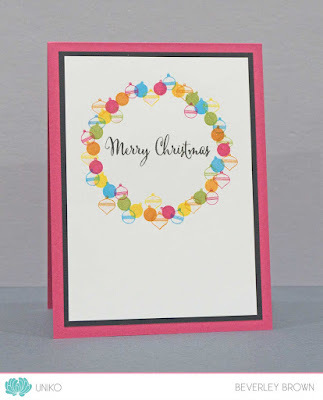 The simplicity and monochrome stamping with splash of rainbow hearts is such a unique and fun way to approach the challenge. 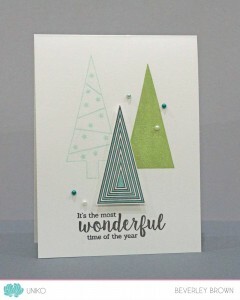 Please pop on by Hannelie’s blog HERE and leave some love and find out more about this creation. 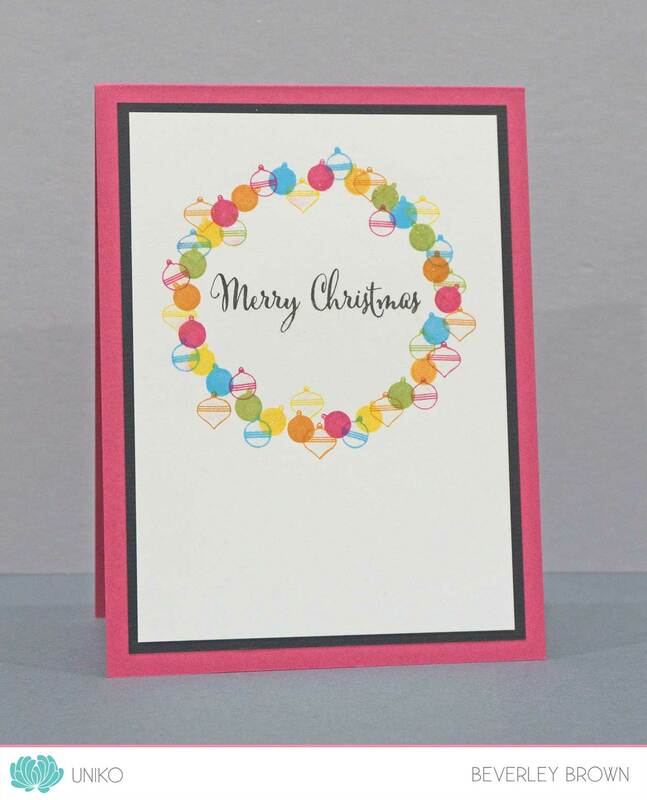 The tiny baubles in this set are perfect for colourful Christmas cards. To create this card I simply traced round a circle die for a template, stamped the sentiment and then randomly stamped the baubles in a variety of bright and cheerful Stampin’ Up! inks. After I had finished stamping, I went over the baubles with my clear Wink of Stella pen for a little subtle sparkle. 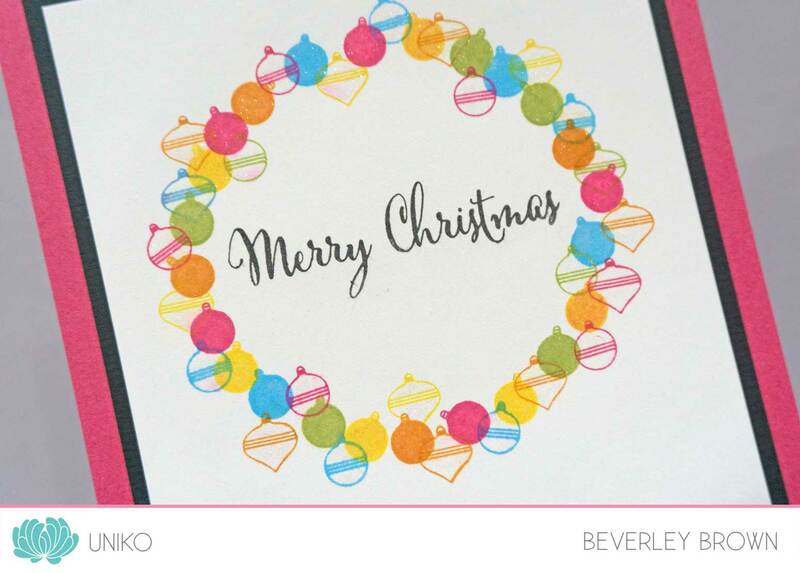 That’s all from me today, but be sure to pop on over HERE to see what the Uniko Design Team have created to inspire you. The link up for the challenge can also be found there. Now, if you need a little more incentive to join in, how about some prizes? 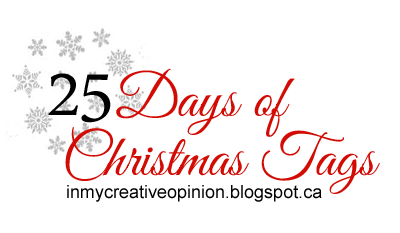 The DT will choose a winner who will get a £15 gift voucher and opportunity to Guest Design. The DT choose a Top 3 who will each get 100 Loyalty Rewards Points added to their Uniko customer account. We will do a random draw for all those who use A UNIKO stamp. This winner will get 200 Loyalty Reward Points added to their Uniko customer account. 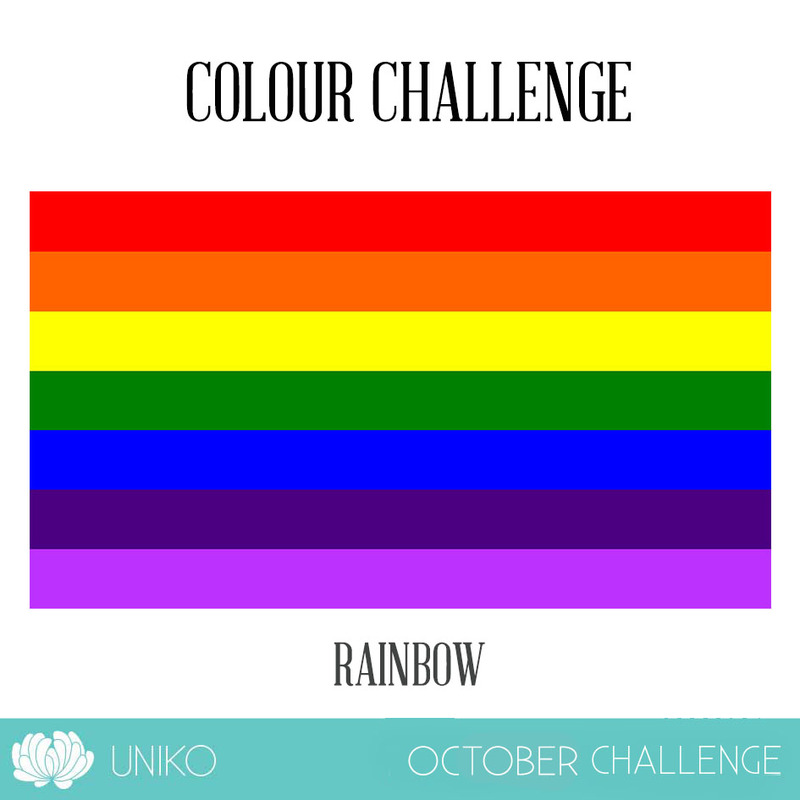 You’ve got plenty of time to play along with this month’s challenge. The deadline for submission is midnight (GMT) on Friday 11th November (7.00pm EDT). That’s all I have to share today, I will be back tomorrow with more using this weeks Stamp Of The Week set. Don’t forget that the set is discounted HERE for this week only. 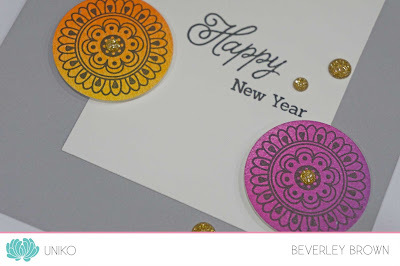 Card Stock:- Stampin’ Up! White and Melon Mambo. Black from stash. Welcome back, and my apologies for my absence at the end of last week, nothing like a sickness bug to disrupt everything I was laid up in bed Thursday and Friday, unable to do anything. Movement was a no no as it made the sickness worse. I also used the current CAS Colours & Sketches challenge colours seen HERE and below for my card. They are having a DT Call this week and next week, so be sure to check it out and join in! That’s all I have to share today, I will be back tomorrow with more using this set. Don’t forget that the set is discounted HERE for this week only.